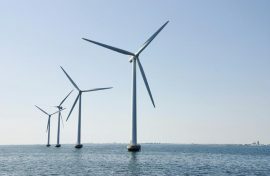 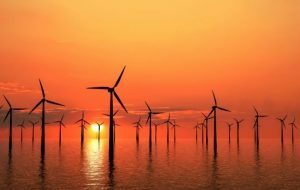 The UK’s Offshore Renewable Energy (ORE) Catapult is partnering with China’s Tus-Wind to establish the TUS-ORE Catapult Technology Research Centre in Yantai, Shandong Province. 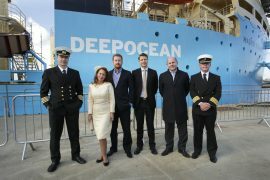 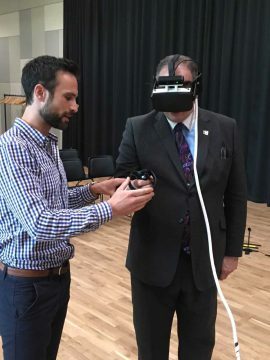 A consortium comprising of the R&D UK Centre of EDF Energy, UTEC, an Acteon company, and Partrac Ltd completed an offshore trial designed to assess the performance of a commercial Autonomous Underwater Vehicle (AUV) for mapping seabed bathymetry. 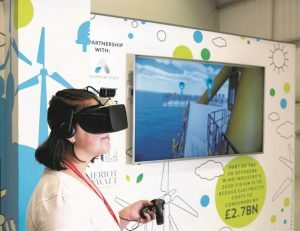 Offshore Renewable Energy (ORE) Catapult has welcomed UK Minister for Arts, Heritage and Tourism, Michael Ellis, at the Immersive Hybrid Reality (iHR) Offshore Wind Turbine. 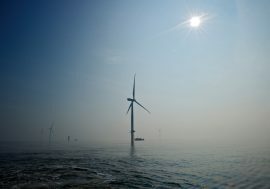 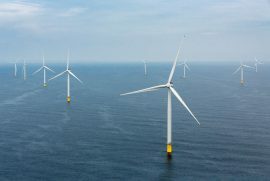 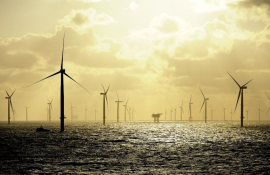 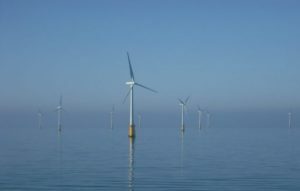 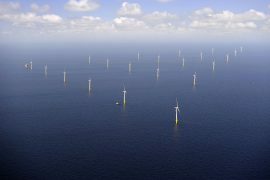 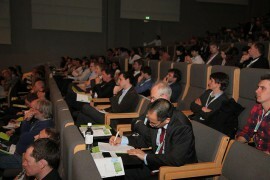 Offshore Renewable Energy (ORE) Catapult is holding three workshops in the UK in order to inform local companies on how to be involved in projects for the Chinese offshore wind market. 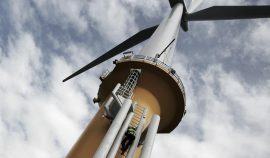 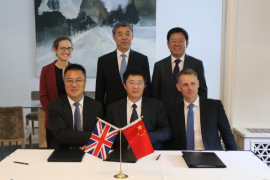 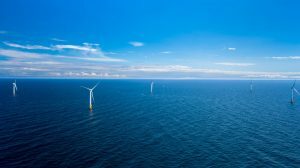 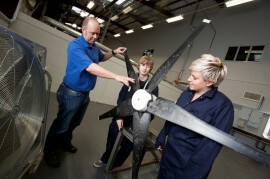 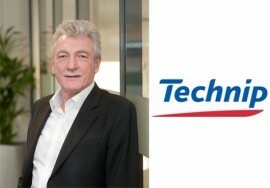 UK’s Offshore Renewable Energy Catapult, China’s Tus-Wind and TusPark Newcastle have signed a collaboration agreement to work together to advance offshore wind technology co-operation between the two nations. 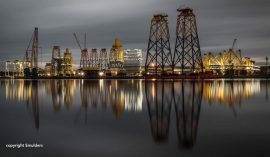 Smulders has published a photo of its Newscastle site at night, housing jacket foundations for the Beatrice and Aberdeen Bay offshore wind farms that find their mirror in the Tyne river. 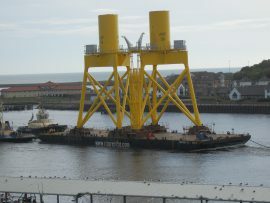 Osprey Construction and Marine Logistics has posted a photo of the Osprey Carrier II barge entering the Tyne, Newcastle, with the first two jacket top sections for the 92.5MW Aberdeen offshore wind farm on 30 September. 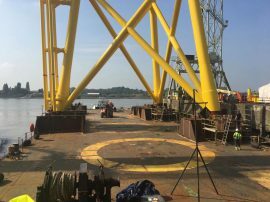 Mandora Logistics has loaded out the first two jacket top sections built at Smulders fabrication yard in Hoboken, Belgium, for Vattenfall’s European Offshore Wind Deployment Centre (EOWDC). 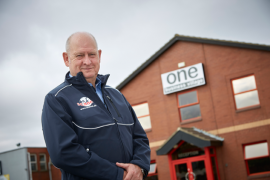 Danish electrical company Scanel International has chosen Hull as the location for its first fixed office in the UK, following major contract wins with energy companies based in the Humber region. 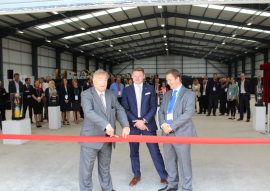 JDR, a supplier of subsea power cables and umbilicals to the global offshore energy industry, has officially opened its European service centre in Newcastle upon Tyne, UK. 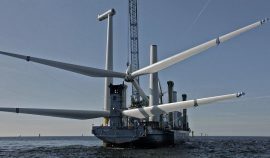 A report published by RenewableUK shows for the first time that UK-based companies working in the wind, wave and tidal energy sectors are exporting goods and services worldwide on a massive scale.